India may be the home of yoga, but San Francisco is among the world’s greatest hubs for the trendy practice. 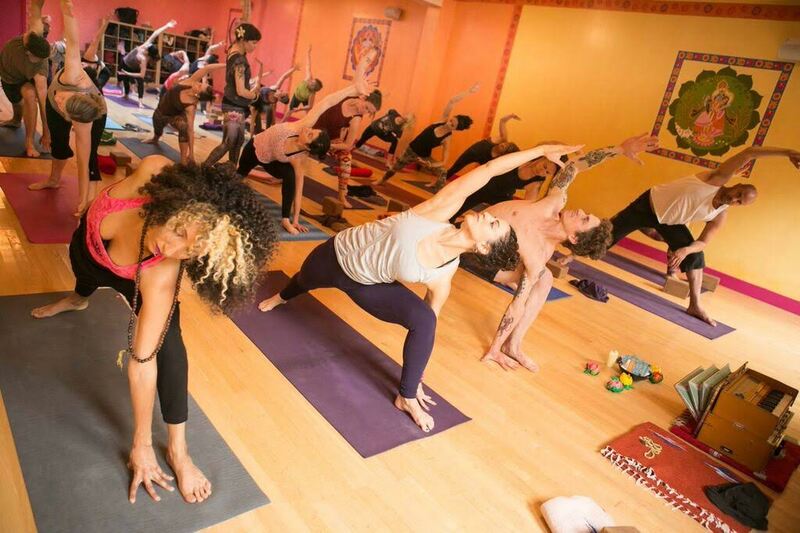 With multiple yoga studios in each neighborhood, it can be overwhelming to decide on one to try. 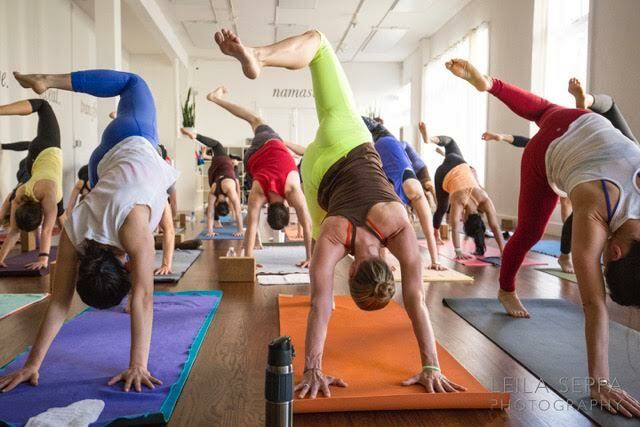 From long-established studios, to trendy newer ones, San Francisco has a unique way of offering yoga in different styles and vibes to suit everyone. In 2007, Laughing Lotus, spread its wings from New York City to San Francisco. What was once a plumbing garage is now a colorful, culturally inviting space representing the artistic Mission District at its core. You can’t miss this gorgeous studio from the street as its bright orange and pink colors decorate the building, truly showing off its creative feel. With ten different types of classes offered, the studio is perfect for every yogi, beginner to advanced. If you love the dynamic approach Laughing Lotus has to share, you can join them for Lotus on the Road, offering retreats from Mexico to Australia. 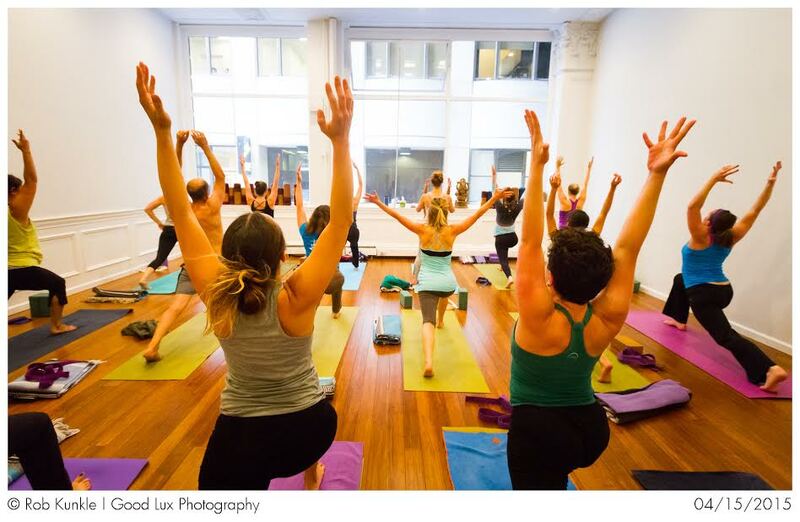 Satori Yoga is a relaxing oasis in the heart of the Financial District. Conveniently located, urban professionals can drop in on their lunch break for a dynamic yoga class, which will leave them feeling more energized than when they arrived. A wide variety of yoga, meditation and pilates classes are offered at all levels. Unique to Satori Yoga are the corporate classes they offer for San Francisco businesses, encouraging employees to step away from their desk and learn to focus within. 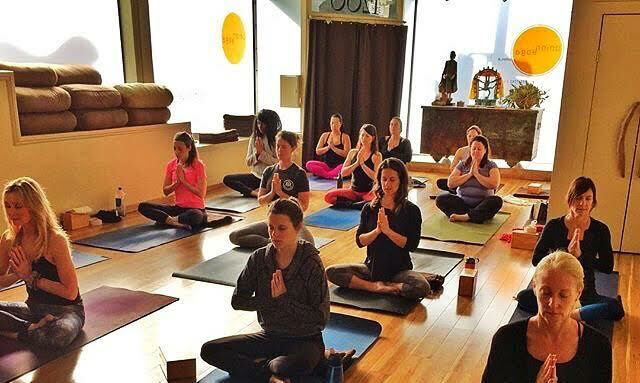 Located in the Mission District, Yoga To The People, is a unique donation based studio with the intention of making yoga affordable for everyone. In a time where yoga as a business can often trump the actual practice of yoga itself, Yoga To The People will not send anyone away due to funds. Suggested donation is $10 per class but pay what you can afford (more if your budget allows). Classes offered are power vinyasa, vigorous yet accessible to everyone. Pro tip: Sunset is a magical time to drop-in as the large windows show off spanning views of the city. Once a former dance hall, Yoga Tree Castro boasts a luminous large space right in the heart of the Castro neighborhood. Hardwood floors, beautiful murals on the front wall and tall windows instantly drop you into a state of relaxation. Over 25 classes per week are offered, primarily vinyasa flow both heated and unheated. On the edge of Russian Hill and the Marina lies The Pad Studios, a quaint boutique studio surrounded by restaurants and small shops. Specializing in power yoga classes, The Pad boasts beautiful white walls, fresh plants and floor to ceiling windows, allowing for natural light to permeate the space during the day. Classes are energizing, music-filled and appropriate for men and women of all fitness levels. For the modern yogi, Moxie mixes both yoga and fitness into quick, refreshing classes. Studio space is small and intimate, only allowing a maximum of 20 students to practice at once. The urban studio is clean and bright with gorgeous walnut flooring. Classes do not include spiritual or philosophical instruction but teachers do take their music very serious at Moxie. You’ll flow and hold postures to energizing playlists, expanding your practice to a whole new dimension. Classes are slightly heated, allowing the body to bend and move with ease. Locations are in both the Mission and Nob Hill, with soon a third opening in Bernal Heights. Yoga Flow Ocean is a spiritual haven located in one of San Francisco’s most up-and-coming neighborhoods, Ingleside. Housed in a beautiful Spanish style building with high ceilings, the space is wide open and welcoming. Vinyasa style classes are offered at all levels with both heated and unheated options. Free meditation classes are held a couple mornings per week. World renowned Bhakti teacher, Rusty Wells, often instructs classes when he is in town. His style includes chanting with drums. You’ll want to book early as his classes always sell out. 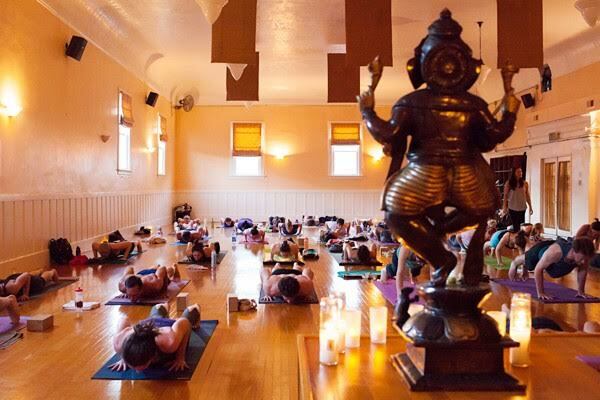 Located on Russian Hill, Union Yoga is a one-of-a-kind neighborhood studio. The sense of community is apparent as soon as you walk through the doors. Hardwood floors and large windows allow for the natural light to shine through, while fresh flowers add a feel of warmth and vitality. 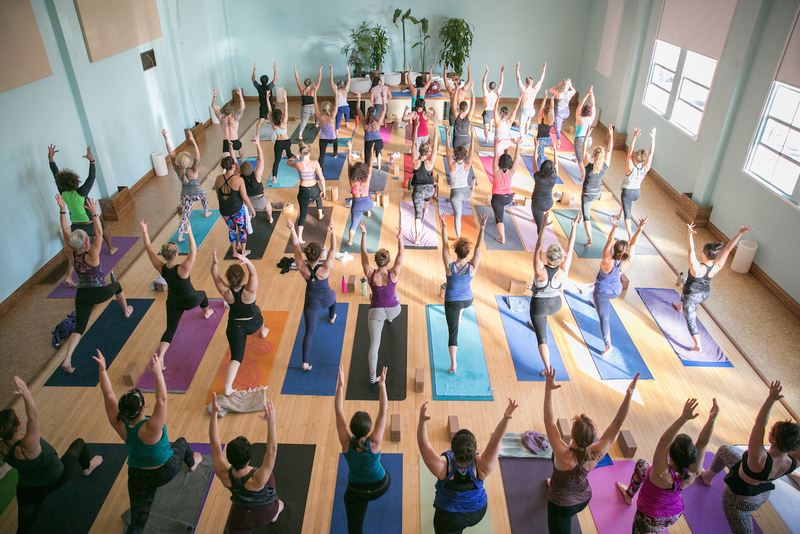 Several class styles are offered, making Union Yoga suitable for everyone. Tip: Wind your week down with their one hour upbeat happy hour class. With 40 locations nationwide (and still growing), Yoga Works has respectfully made its stamp on the yoga community. They hold their standards in teachers with utmost pride, requiring each of them to complete a minimum training of 500 hours accredited by YogaAlliance. Each class is carefully themed, emphasizing on giving students a deeper connection to yoga and the present moment. Signature classes highlight on thoughtful sequencing and modifications for each yogi’s level. Yoga Works’ trademark approach is geared towards safe, compassionate and proficient teaching. 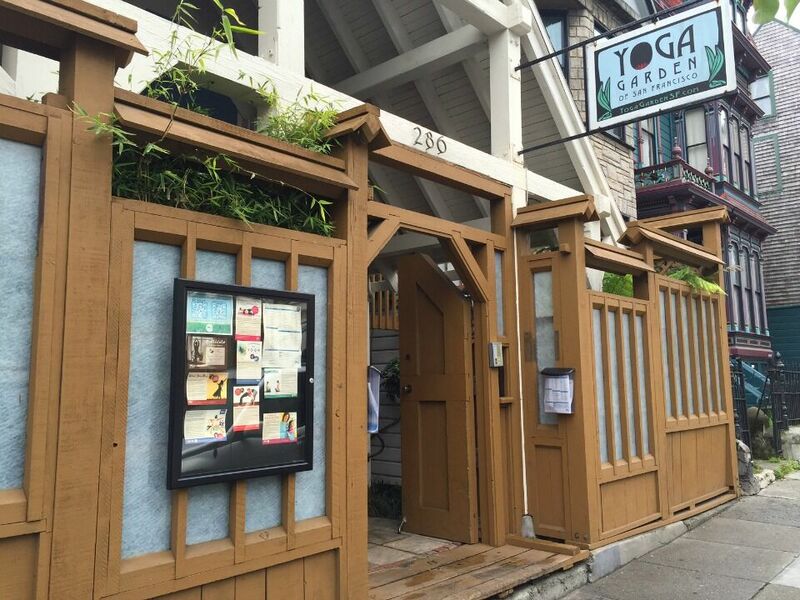 Family owned for nearly 20 years, Yoga Garden is a charming three story Victorian retreat centered in the trendy NOPA neighborhood. You’ll follow a curved pathway leading you to the entrance, which is actually the back door of the home. Hardwood stairs will take you up floor by floor, totalling three yoga studios giving the ability to hold an array of classes all at once. This wide mix includes Iyengar, Hatha, Vinyasa and several more.